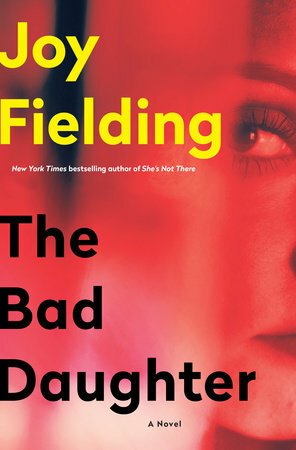 Her latest novel is The Bad Daughter. I recently finished reading Tina Brown’s wonderful Vanity Fair Diaries and The Last Girl: My Story of Captivity, and My Fight Against the Islamic State by Nadia Murad. While I generally prefer fiction, I tend to read more non-fiction when I’m working on a novel of my own. I don’t know if this has to do with not wanting the interference of another writer’s voice at that time or whether it’s just that I find non-fiction easier to read. It doesn’t require the same level of concentration and commitment, and it’s easier to pick up and put down at will. That said, both these books were very well-written and fascinating from first page to last. 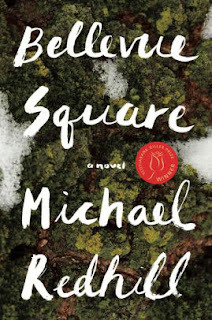 As for novels, I recently read Canadian author Michael Redhill’s Giller-award winning book, Bellevue Square, which I found quite frustrating. He’s an interesting writer, but to be honest, I wasn’t sure what exactly he was trying to say. Not sure whether this was his fault or mine. While I don’t normally read a lot of thrillers or novels of psychological suspense - even though I write them - I decided to give a few a try. So I’ve recently purchased Riley Sager’s Final Girls (getting a little tired of all those “girls” in the titles of books), A.J. Finn’s The Woman in the Window (at least she’s a woman and not a girl), which I bought because it bears a resemblance, plot-wise, to one of my own novels, Someone Is Watching, and City of Endless Night by Preston and Child. And I also bought Trumpocracy: the Corruption of the American Republic by former GW Bush speechwriter (and fellow-Canadian) David Frum. I plan on reading them all during my March holiday in Florida. Born and raised in Reno, Nevada, Willy Vlautin started playing guitar and writing songs as a teenager and quickly became immersed in music. It was a Paul Kelly song, based on Raymond Carver’s Too Much Water So Close to Home that inspired him to start writing stories. 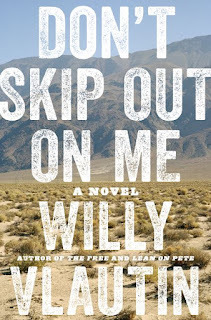 Vlautin has published five novels: The Motel Life (2007), Northline (2008), Lean on Pete (2010), The Free (2014), and the newly released Don't Skip Out on Me. 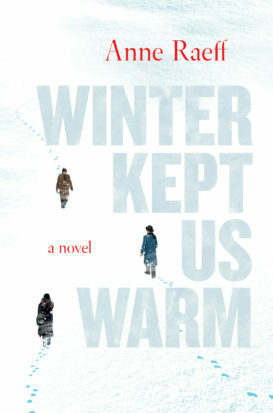 A novel of such power and sadness its unforgettable. I’ve read it a handful of times over the years and always it’s a heartbreaking marvel. The story of Billy Casper, a kid from a broken home, who’s only future after school is a job in a coal mine. Set in a bleak mining community in an unnamed northern UK town, Billy is an outcast both at home and school. His only friend is a kestrel he has trained and keeps in a shed. A bird that flies above the sadness of the world, a bird free from the working-class constraints of spending one’s life in the darkness of a mine. I have copy in front of me, ragged and torn. 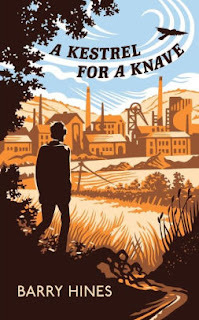 It’s a book that once you begin you don’t want to leave, you don’t want Billy Casper and Kes to be anywhere but in your pocket, safe and out of harm’s way. Reservoir 13 is the story of a small town in rural England in the years following the unsolved disappearance of a young girl. But it isn’t a who-dunnit, a why-dunnit, or an anything-dunnit; in fact, it’s not really about the disappearance at all. 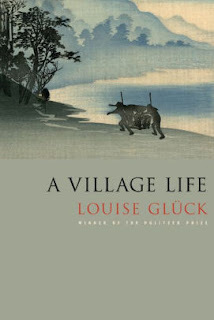 This is the story of a community, the intersection of many lives across the years, the cycles of the natural world. The narration is detached and sharp-eyed but always humane, and the many characters’ stories seep from the page in a unique and affecting mosaic style. 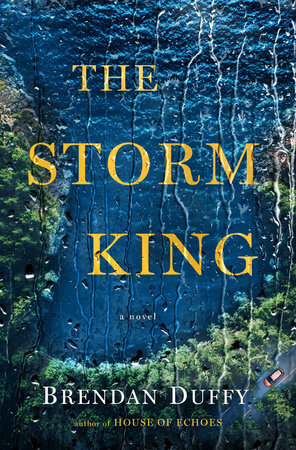 It’s a terrific book, formally but unobtrusively innovative: the gentle rhythm of the prose washes over the reader like rain. The two novels couldn’t be more different, in terms of setting, tone, and style, but both share an ambition for grand scale story-telling, an admirable refusal to conform, and are both fantastic reads. 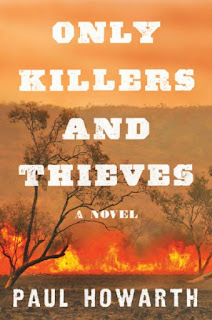 Next on the list are some recent and forthcoming releases: Home Fire by Kamila Shamsie, Sal by Mick Kitson, and Tin Man by Sarah Winman; and one I missed when it first came out, Gold Fame Citrus, by Claire Vaye Watkins…unless, that is, something else catches my roving eye first! 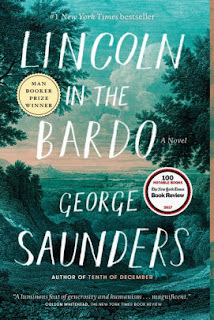 I’ve just finished reading Lincoln in the Bardo by George Saunders. A longtime fan of Saunders’ extraordinary short stories, I was really interested in how he’d approach a long form project, and the answer is—uniquely! 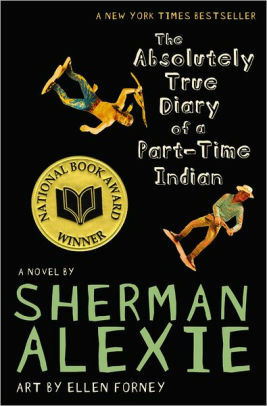 By turns hilarious, inspirational, and deeply moving, this novel deserves all of its accolades. After reading Saunders, I always find myself in awe of his inventiveness and his talent in balancing humor and substance. He’s amazing! 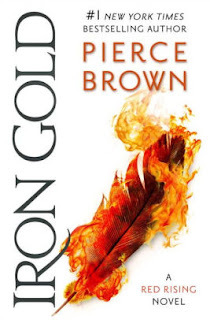 Right now, I’m deep into Iron Gold by Pierce Brown. Brown’s the author of the Red Rising series, and Iron Gold is his fourth book, set ten years after the events of the third. 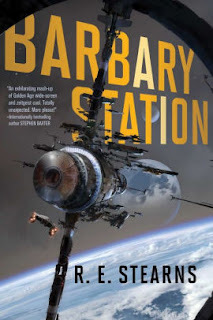 This is science fiction, and if you’re not already familiar with the Red Rising universe then I won’t spoil anything for you—Brown’s world is too deep and vibrant for me to risk synopsizing it. What I will say is that if you’re in a sci-fi mood, they’re a true delight. I’ve been a fan of these books since the beginning and I’ve really admired Brown’s evolution as a writer. I believe the first book was actually initially marketed as YA, but as the series’ central character grew, the books matured with him. In Iron Gold, Brown takes things to a whole new level. He’s added additional POVs from diverse characters and touches on many timely societal issues from a place of profound empathy. The world is original, vivid, deeply imagined, and a lot of fun! Anne Raeff’s short story collection, The Jungle Around Us, won the 2015 Flannery O’Connor Award for Short Fiction. The collection was a finalist for the California Book Award and named one of the 100 Best Books of 2016 by the San Francisco Chronicle. Her stories and essays have appeared in New England Review, ZYZZYVA, and Guernica, among other places. She lives in San Francisco with her wife and two cats. Raeff's new novel is Winter Kept Us Warm. 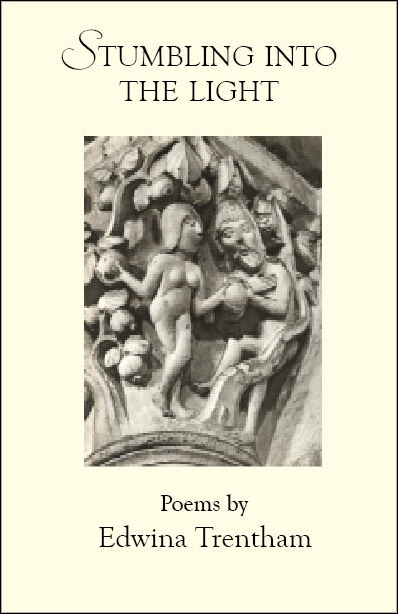 When my wife, Lori Ostlund, and I first got together twenty-six years ago, we often stayed up until dawn reading our favorite poems to each other. 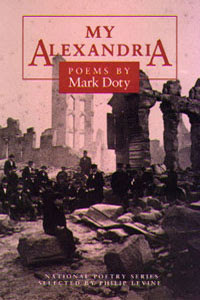 We read some of them like Matthew Arnold's "Dover Beach," and T.S. Eliot's "The Hollow Men" over and over and never tired of them. In December, 2017 we decided that poetry needs to be part of our daily life again, so we reinstated this tradition, though now we have a more staid approach and read for about twenty minutes every night before going to sleep. So far Lori has been doing the reading and has also taken on the responsibility of choosing the poetry, asking for suggestions from friends and other writers. Unlike in the early days of our relationship when we jumped from one poet to another, we are now reading complete books, lingering with each volume for a few nights. So far we have been focusing on contemporary work. 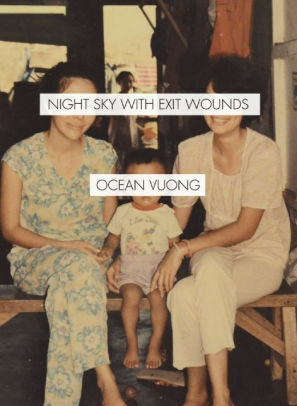 We have read Louise Glück's A Village Life, It is Daylight by Arda Collins, Our Lands are not so Different by Michael Bazzett, Mark Doty's My Alexandria, and Ocean Vuong's Night Sky with Exit Wounds. Last week I suggested that every three or four books we read something more classic, so we are now about halfway through Rilke's The Duino Elegies. We both agree that there is some beautiful imagery in them, but since we are not particularly drawn to angels or mystical musings, we will be glad when we are finished with it. 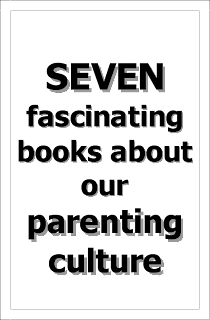 We have enjoyed all the other books, and I recommend them all. 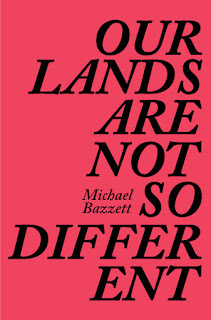 Though some of the poems make more of an impression than others, when we finish an entire collection we are left with a palette of themes and images that linger in our thoughts and imagination. This year I have also had the pleasure of introducing my students to poetry. I am high school teacher and I have begun 2018 with a poetry unit. My students, 9th graders, have had little or no exposure to poetry. 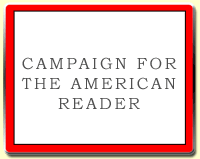 Many of them struggle with reading and anything academic. Slowly, however, they are discovering the beauty of metaphor and meter. They are learning to linger with an image, to imagine the scene that the poet has painted, to savor the rhythms, to get at the crux of the meaning. They no longer believe that a poem can mean anything you say it means and understand both the limits and freedom of interpretation. They are having discussions about God and death and love. 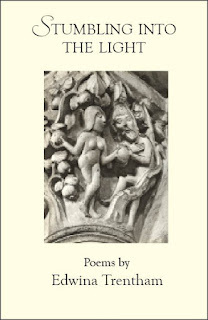 So far we have read classical Japanese haiku, William Blake, Emily Dickinson, Walt Whitman, W. H. Auden, Claude McKay, Dylan Thomas, Alice Walker, Gary Soto, Maya Angelou, and a pantoum titled "What I Learned from Westerns," by my friend Joe Mills. When we come back from break, they will write and workshop their own poems. When they are as good as they can be, I will read them to Lori before we turn off the light. We will savor some more than others, but they too will linger in our imaginations. 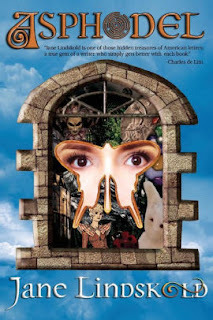 Jane Lindskold is the New York Times bestselling, award-winning, internationally published author of over twenty-five novels, seventy-some works of short fiction, and a variety of non-fiction. Her new novel is Asphodel. Lately, my reading has been mostly fiction. I just finished Barsk: The Elephant’s Graveyard by Lawrence M. Schoen. 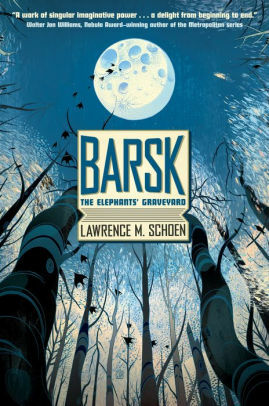 Although this book has been frequently compared both to Dune (because of the element precognition plays in the plot) and to Brin’s “Uplift” books (because most of the characters are “uplifted” animals), I felt that Barsk: The Elephant’s Graveyard has a strong identity of its own. The “Fant” and their culture are well-designed, and the aversion felt for them by the “furred” races is later revealed to have deep and sinister roots. I would definitely read another book in this setting. 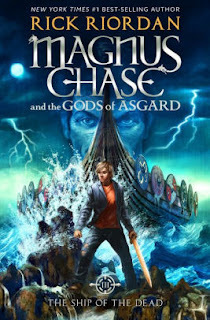 I’ve also recently returned to Rick Riordan’s “Magnus Chase and the Gods of Asgard” series. I’m currently in the middle of the third book, Ship of the Dead. 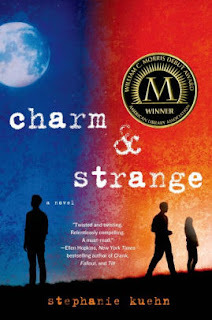 To talk about my reaction to this book, I really need to first touch on my reaction to Rick Riordan’s various on-going series about the trials and tribulations of various pre-teen and teen demigods. Riordan’s jaunt began with the first of the “Percy Jackson and the Olympian” books, The Lightning Thief. I’m a hard sell for books that feature mythology. Simply, I know too much and spend too much emotional energy getting annoyed at material handled incorrectly or simplistically. However, when a friend who is both a classicist and a librarian gave The Lightning Thief a big thumbs up, I gave it a shot. I think I’ve read just about every book in the series and the various spin-off series. I’m impressed not only by how Riordan handles his mythological material, but by how the plots stay fresh and innovative. I was dubious when I started the first Magnus Chase book, especially when I realized it shared the same universe as the Percy Jackson books, but so far Riordan is making it work. And, yes, for those who wonder, I’m also reading the “Trials of Apollo” thread. 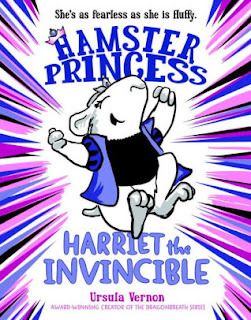 Finally, last week I discovered Ursula Vernon’s “Hamster Princess” books. 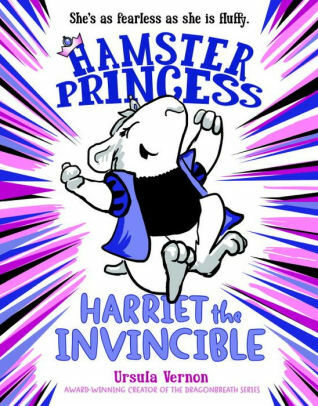 I’ve now read Harriet the Invincible and Of Mice and Magic, and will be looking for the rest. They’re cleverly illustrated so that the text and illustrations intertwine in a fashion I’ve never seen before. Best of all, they’re not only funny, they’re smart, taking on various fairytale tropes and giving them a hard shake. Not only do I plan to read the whole series, I’m thinking of kids on my list I can give them. I might not stop with kids! 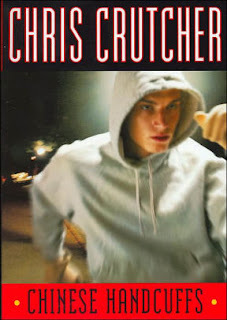 Geoff Herbach is the author of the award winning Stupid Fast YA series as well as Fat Boy vs the Cheerleaders. His books have been given the 2011 Cybils Award for best YA novel, the Minnesota Book Award, selected for the Junior Library Guild, listed among the year’s best by the American Library Association, the American Booksellers Association and many state library associations. In the past, he wrote the literary novel, The Miracle Letters of T. Rimberg, produced radio comedy shows and toured rock clubs telling weird stories. Herbach teaches creative writing at Minnesota State, Mankato. He lives in a log cabin with a tall wife. His new novel is Hooper. I usually read three books at a time (actually, listen to one, read one e-book, and read one in paper). Right now I'm listening to Hannah Tinti's The Twelve Lives of Samuel Hawley. 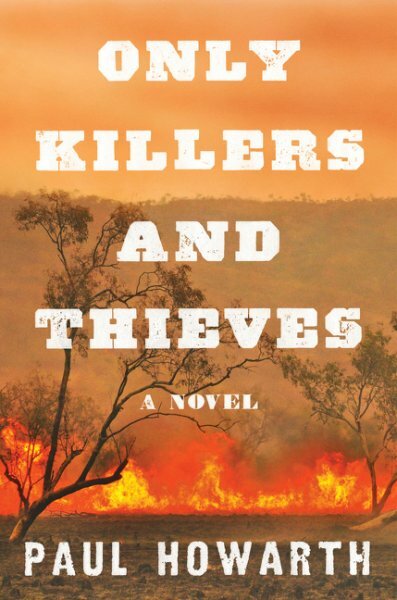 I love crime books and this is a really cool one. The life of Samuel's daughter, Loo, is opened up through these series of stories about the different bullet scars on her father's body. It's beautifully written and creatively told. Love it. 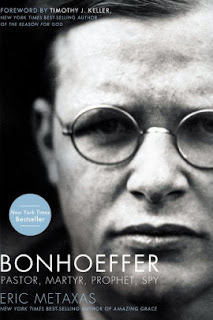 I'm reading Bonhoeffer: Pastor, Martyr, Prophet, Spy by Eric Metaxas, about Dietrich Bonhoeffer, the German pastor who helped plan the assassination attempt on Adolph Hitler. Fascinating profile. The guy fought to keep the Lutheran church separate from the German state. He fought to stop the church from going through Nazi Aryan purification. He eventually died in a concentration camp. 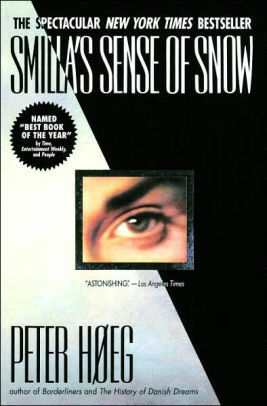 And, I just started Smilla's Sense of Snow. I've really been into Scandinavian mysteries lately. Maybe because Minnesota is also dark, icy and cold. Steven Parlato is an award-winning author and poet. Upon the release of his YA debut, The Namesake, Publishers Weekly called him “a name to watch.” A college English professor (with a giraffe-filled office), illustrator, and actor, Parlato has played roles including the Scarecrow, Macbeth, and the Munchie Mania Guy in a Friendly’s training film. He lives in Connecticut with his wife, two teens, and a Binks-like cockapoo. 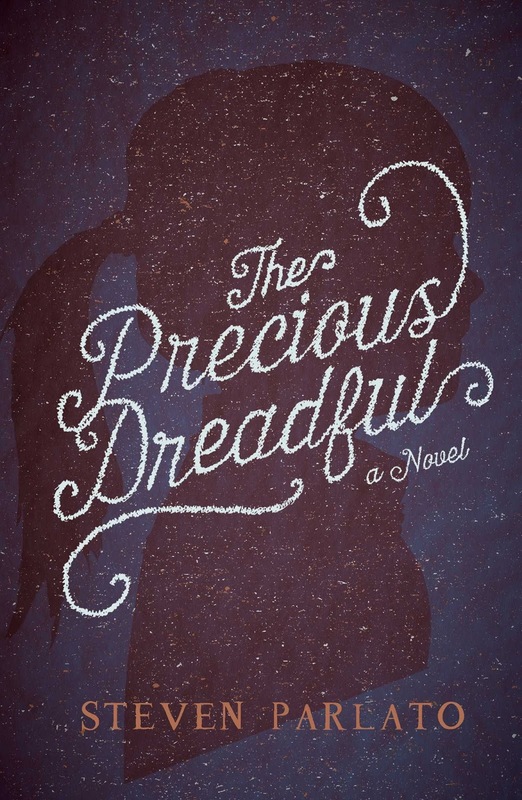 Parlato's new novel is The Precious Dreadful. A new addition to my 200-level lit class, Studies in Young Adult Fiction, was Angie Thomas's excellent The Hate U Give. 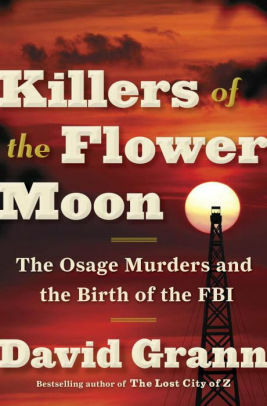 Its focus on the murder of Blacks by police was handled with an unflinching truth and sense of fairness that impressed. Thomas spotlighted our national shame, avoiding heavy-handedness, while leaving me with a very heavy heart. We have much work to do. Also in that class, we read three of my faves: Chinese Handcuff, by Chris Crutcher; Sherman Alexie's The Absolutely True Diary of a Part-Time Indian; and Stephanie Kuehn's Charm & Strange. Each reminds me that by being bold, authentic, and unafraid to tackle dark topics--abuse, mental illness, racism--tempered with humor, we provide a space for readers to meet individuals who share their struggles, and to develop empathy for others' unique burdens. 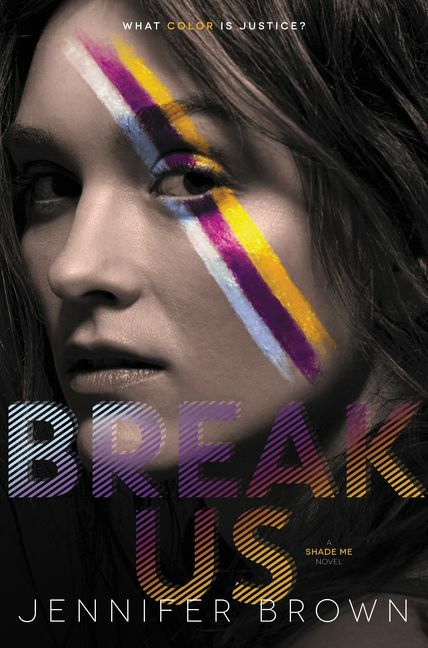 Two other recent favorites are Emma Donoghue's brutal Room, and Nutshell, by Ian McEwan. Donoghue's writing mined beauty and power from a situation that could have remained merely horrific. 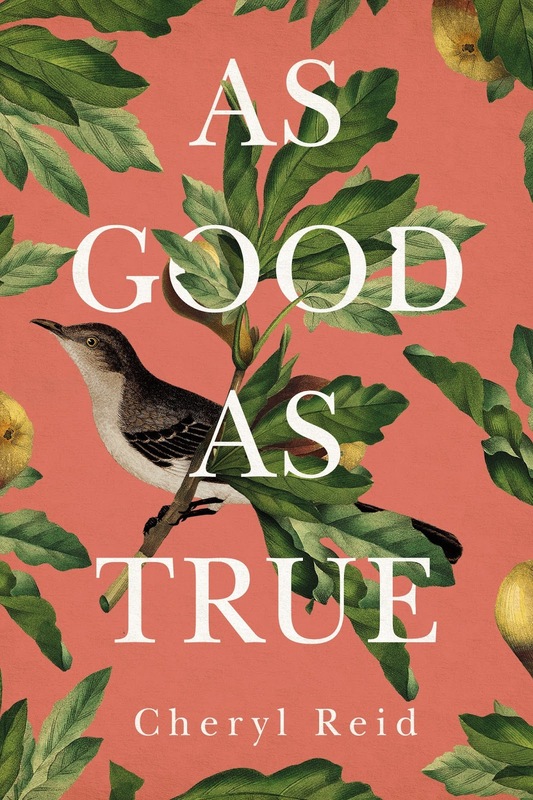 McEwan's book, with its Hamlet allusion and pre-natal narrator, reminded me anything is possible in crafting written worlds. As a poet, I treasure poetry collections for their lessons on image and economy of words. Mary Oliver, Sharon Olds, and Claude McKay are particular heroes. 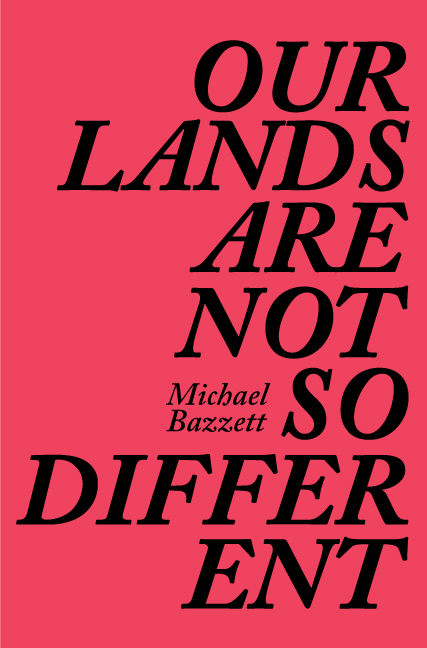 My fiction benefits from the distillation of language I've learned reading and writing poems. I'm currently loving a limited edition chapbook, Dinner Parites, by my dear friend and mentor, Edwina Trentham. 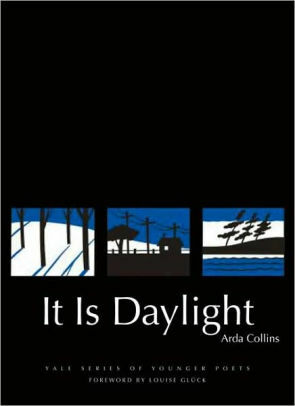 Her collection, Stumbling Into the Light, from Antrim House, never ceases to move me, inspiring my own writing. I'm a believer in the importance of every word, whether I'm writing a sestina or a novel. The works and writers I've mentioned are ones I return to often in search of that vein-deep connection we only find through words in white space. They never disappoint. Jennifer Brown is the author of the young adult novels Shade Me, Bitter End, Perfect Escape, Thousand Words, and Torn Away. Her debut young adult novel, Hate List, was chosen as an ALA Best Book for Young Adults, a VOYA Perfect Ten, and a School Library Journal Best Book of the Year. She lives in the Kansas City, Missouri, area with her husband and children. Brown's latest novel is Break Us. Right now I am reading a crazy amount of YA and middle grade books, and they have all been really great. 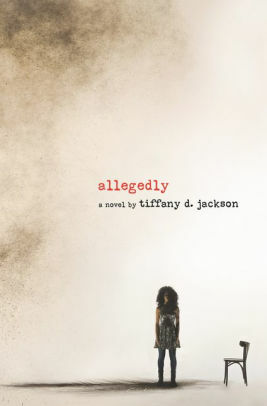 But there is one that stands out as the book that had me completely engrossed and will stay with me forever: Allegedly by Tiffany D. Jackson. Nine-year old Mary allegedly killed an infant while babysitting with her mother and was sent to “baby jail.” Now, six years later, she is living in a group home, trying to put together the pieces of her life, when she discovers that she herself is pregnant. Mary has been tight-lipped about what happened the night of the baby’s death, but the court has decided that they will be taking her baby after he is born, and now she is more motivated than ever to set the record straight so she can keep her baby and make a life with his father, Ted. This means she must not only go up against the court of public opinion and the reluctant and sometimes biased justice system itself—but more frighteningly—the powerful force that is her very religious mother. The voices in this book are so astonishingly real, I felt at times as if I was standing right there in the group home with these girls. Jackson pulls no punches, never shying away from the truth, and giving each character their own very individual, brutally honest voice. It reminded me of Orange is the New Black, only with higher stakes and more empathy. I love gritty stories that make me think, and I gravitate toward books that have me questioning my own insulated suburban paradigms. This book makes bold statements about our justice system—particularly our juvenile justice system—and about how our global connectivity as a society can be brutal, even when the “offender” is a nine year old child. Decisions, truth and lies, race, compassion…goodness, this book has it all! And don’t even get me started about how it all comes together at the end! Incidentally, I listened to the audio version of this book, and Bahni Turpin did an amazing job bringing just the right voice to these characters. If you have the inclination to listen, you should totally do so. This is Tiffany D. Jackson’s debut novel, and I believe a hugely honest and important voice has just burst onto the YA scene. I am definitely an insta-fan, and can’t wait to read what she writes next. Coffee with a Canine: Jennifer Brown & Ursula and Aragorn. Joanne Serling’s fiction has been nominated for a Pushcart Prize and has appeared in New Ohio Review and North American Review. She is a graduate of Cornell University and studied and taught fiction at The Writers Studio in New York City. She lives outside of New York with her husband and children. 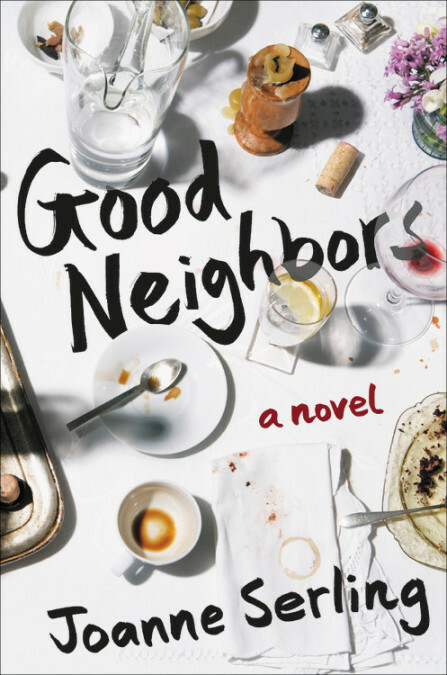 Serling’s new novel, her debut, is Good Neighbors. For most of my life, I’ve been a dedicated fiction reader, devouring novels at the rate of one per week with the occasional New Yorker story thrown in. But for the last six months, I’ve been on a nonfiction jag. It started with Boys of my Youth by Jo Ann Beard, a series of interconnected essays that read like short stories. Each one blew me away with their emotional depth and beauty. (And they were funny!) 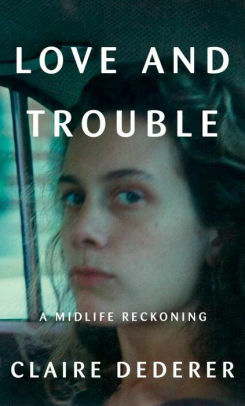 I then dipped into Love and Trouble: a Midlife Reckoning by Claire Dederer, which really got me thinking about how closely our sexual selves are tied to our identity. 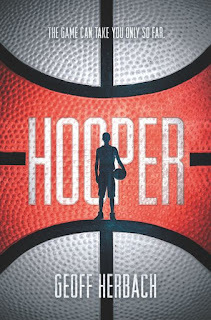 Dederer is a courageous, honest and also, a very funny writer. In between, I did sneak in one terrific novel: Motherest by Kristen Iskandrian, an insightful and moving debut about motherhood and pregnancy that stayed with me long after I’d finished it. 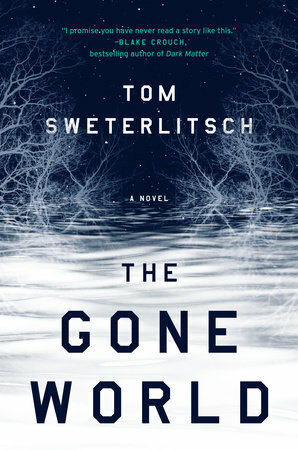 Tom Sweterlitsch was born in Iowa and grew up in Ohio. His first novel, Tomorrow and Tomorrow was published in 2014. He has co-written several short films with Director Neill Blomkamp for Oats Studios including Rakka, Firebase, and Zygote. Before becoming a writer, he worked for the Carnegie Library for the Blind and Physically Handicapped for twelve years. Sweterlitsch's new novel is The Gone World. He lives in Pittsburgh with his wife and daughter. 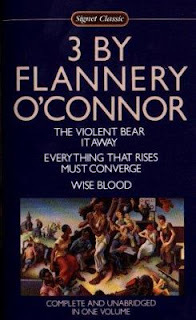 I’m reading two books right now, kind of going back and forth between them: Return to the Dark Valley by Santiago Gamboa, and Three by Flannery O’Connor, by…Flannery O’Connor. Return to the Dark Valley is the third novel I’ve read by the Colombian author Santiago Gamboa, all three in translation and published by Europa Editions. I found his first novel in translation, Necropolis, only because the cover art/jacket design caught my attention—I can’t even remember where I bought it. At any rate, I bought this book because of the mysterious cover image of a luminous hotel hallway, but it turned out to be one of my favorite books that I’ve ever read, about a writer invited to an academic conference on “biography,” held in a luxury hotel in Jerusalem. There is a central mystery but also stories-within-stories as the various conference attendees give their presentations. 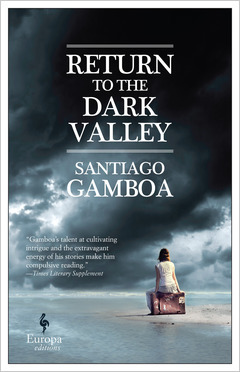 Return to the Dark Valley is also a mystery, and also about stories and literature—it’s a companion book to his novel Night Prayers. Gamboa’s written several books but I think only these three have been translated into English so far. 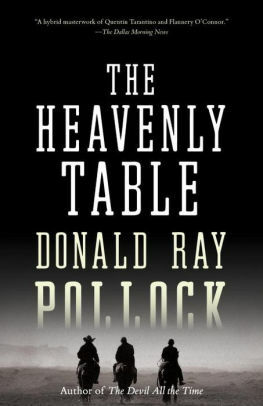 I highly recommend reading his books. Susan Meissner is a multi-published author, speaker and writing workshop leader with a background in community journalism. Her novels include A Bridge Across the Ocean; Secrets of Charmed Life, a Goodreads finalist for Best Historical Fiction 2015; and A Fall of Marigolds, named to Booklist’s Top Ten Women’s Fiction titles for 2014. A California native, she attended Point Loma Nazarene University. Meissner is a pastor’s wife and a mother of four young adults. Her latest novel is As Bright as Heaven. One of the delights of having fellow authors for friends is getting to read their newest books early. 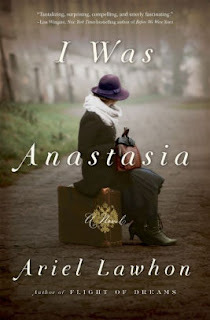 I just finished I Was Anastasia by Ariel Lawhon and my first response when I read the last page was, “Wow!” Most of us have probably heard what happened to the royal Romanov family during the Russian revolution, and perhaps even the mystery surrounding one of the daughters, Anastasia, when a woman named Anna Anderson claimed to be her. 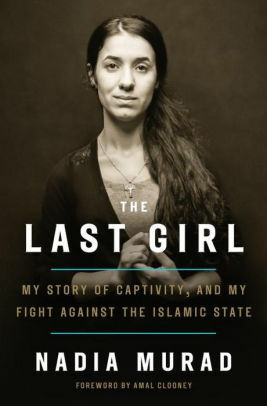 Anderson spent her lifetime claiming she had survived the brutal execution of the rest of her family. Lawhon has constructed a cleverly engaging look at both Anastasia Romanov of history and the woman who claimed until her dying day to be the sole surviving daughter of the last tsar of Russia. It is a non-linear tale, in that part of the story moves forward and part moves backward, but I loved how the story played out that way. It was a very unique architecture that was probably not easy to pull off, but Lawhon is a master storyteller and she totally made it work. I am nearly finished with Chanel Cleeton’s brand new novel, Next Year in Havana. It is a dual time periods tale about a contemporary American woman of Cuban descent who travels to Havana to fulfill the wish of a beloved grandmother who asked that her ashes be taken back home to Cuba. 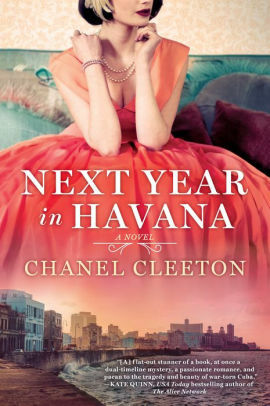 Cleeton draws on her own Cuban background to tell the story, and her flair for detail will have you feeling like you’re right there in Havana for both storylines. And the cover is absolutely beautiful. 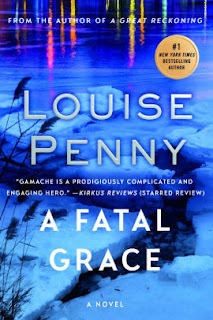 I recently become mad about Louise Penny’s inspector Gamache series. I’ve been reading them out of order, which is surprising, because ordinarily I would never do that. But Penny is such a great writer and the stories can and do standalone. Still, if you haven’t started this series yet I do suggest you start at the beginning. I like listening to Penny’s books in my car because her narrator is such a delight to listen to and the stories are so full of evocative and delicious detail. My most recent read was The Long Way Home, which is number ten. I am now listening to number two, A Fatal Grace. The cast of recurring characters in these Inspector Gamache books feel like family to me now and the setting, a fictional town called Three Pines in the rural environs of Montreal, Quebec, is a place I wish so very much I could visit. 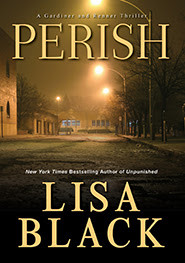 Like all murder mysteries there is always a dead body or two, and the whodunit is a key element of all of them, but along with those genre-specific staples there is always enjoyable, engaging, and insightful storytelling. The Page 69 Test: As Bright as Heaven. Stearns' debut novel is Barbary Station. 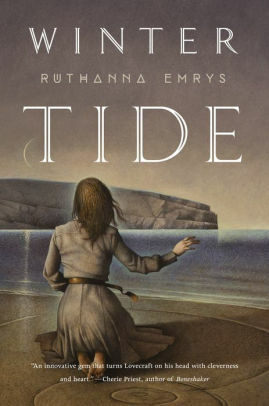 I recently read Winter Tide by Ruthanna Emrys, and I adore it! Its original appeal was "Lovecraftian story written by a queer woman," which I always hope will result in a story that gets away from Lovecraft's well-known sexism and racism. Winter Tide plainly addresses those issues, and more. It doesn't shy away from a single difficult topic, including how racial minorities and gay folks were treated in the U.S. during the late '40s. Did I mention it's a period piece? It's a period piece. "Even the most ill-formed words, set to paper, are a great blessing." "They are not evil, but nor are they good to be around unless one has a truly important reason." "When she doesn't care about something, she's like a personification of the whole universe not caring." Lines like that are scattered throughout Winter Tide, and one never knows what one will find on the next page. Some of the text is especially Lovecraftian, but most of the time Winter Tide reads better and has more depth of feeling than anything he ever wrote (and I would know, because I've read everything he wrote). 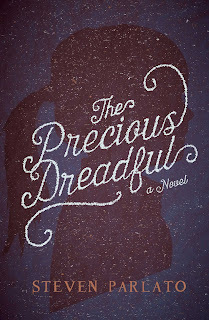 So, yes, this is a delightful novel. 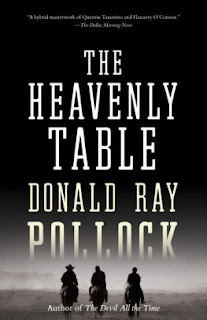 I recommend it to anybody who likes weird fiction, and to all Lovecraft fans, and to people who wish that the America of the Cold War Era had been more magical. Black's new novel is Perish. 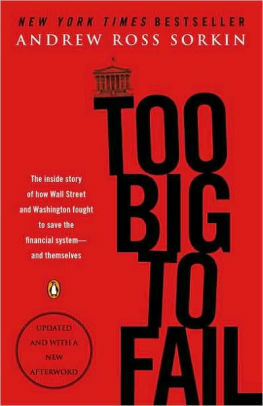 I read Too Big To Fail: The Inside Story of How Wall Street and Washington Fought to Save the Financial System—And Themselves, by Andrew Ross Sorkin. That I read it at all is something of a bizzarity because business has never interested me. Numbers make my eyes cross. Too many times to count, my husband has asked me what my cousin or nephew or sister-in-law does for a living any my answer was: ‘Something to do with business.’ I read out the entire true crime section at the Cleveland Public Library except for the books dealing with organized crime because gangsters tend to function like a business…booooooring. But quite some time back I listened to critics who said Barbarians at the Gate was a fascinating tale, tried it, liked it and discovered that non-fiction can be interesting, even when no one gets murdered. And thus I read Too Big To Fail. It explains, step by step, the 2008 financial meltdown and most of the characters swept up in it, whether they deserved to be or not. The book has been criticized for having too much detail about the bankers’ histories, their hobbies and who drives them to work every day, but I didn’t find it boring at all. Two things stuck with me after I finished reading. These swashbuckling Wall Street types of outsize egos and outsize drive are mostly white men—not too surprisingly—but once in the door they are surprisingly egalitarian. They honestly don’t care if your father was a felon or president of Yale—if you can make money, and keep making money (which is the really hard part), that is all that matters. And, as one of them explains, what distinguishes success from failure is not just the ability to win but the ability to lose. Everyone is going to make bad calls during their career and lose a great deal of money for one of their clients. You have to be able to withstand being called every name in the book by that client, listen to them tell you that they never want to speak to you again, and yet call them up again the next week a pitch a great tip or product or investment. If you can’t do that, then this is not the job for you. All in all I found it a fascinating tale of a world I do not know, as well as a cautionary tale of just how fragile the world can become when no one pays sufficient attention. Madeleine's latest book to reach the US is Where the Wild Cherries Grow: A Novel of the South of France. I’m in full research mode for my next novel right now, so all of my reading is on a theme. I’ve just finished two books by Mohamed Choukri, a Moroccan writer who taught himself how to read and write in his twenties after a childhood of poverty, abuse and crime. His For Bread Alone was a startlingly honest and fascinating account of growing up on-and-off the streets in Tangier and Tetouan. 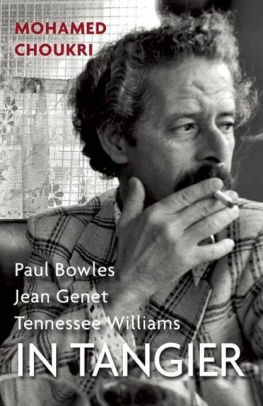 His In Tangier – a series of diary-like entries written during the late sixties – provides a few wonderful vignettes of his meetings with fellow writers like Jean Genet and Tennessee Williams. 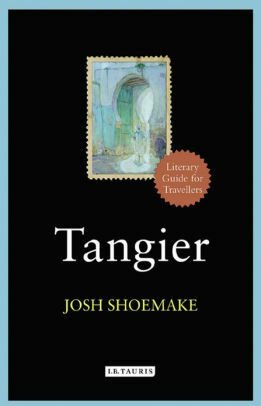 I’ve now moved on the Josh Shoemake’s Tangier: A Literary Guide for Travellers, which is proving an entertaining read. (Can you guess where my next book is set, yet?) Other than that, I’m queuing up Daphne du Maurier’s Rebecca after watching the brilliant Hitchcock film version and realising – to my shame – that I’ve never actually read it. Cheryl Reid grew up in Decatur, Alabama. She studied art and writing at Agnes Scott College and earned an MFA in Creative Writing from Georgia State University. She lives with her husband, three children, and a rescue dog called Django in Decatur, Georgia. Reid's new book, her first novel, is As Good as True,. 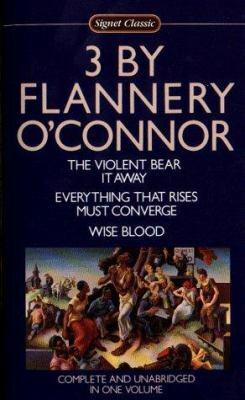 I love books that employ imagery in specific and meaningful ways to deepen the narrative. 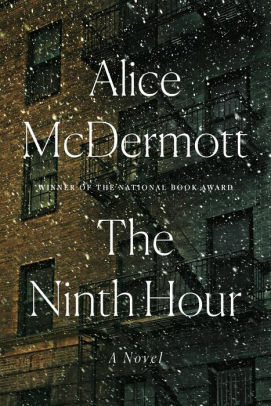 So when I finished The Ninth Hour by Alice McDermott, I was in awe. Throughout the novel, I felt as if I were in the room or on the street or on the train with the characters. The real treasure of the book is the weaving of narrative between and among characters. 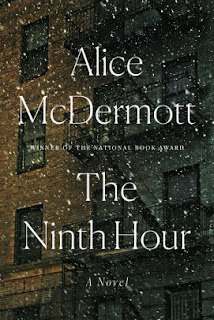 McDermott takes us close-up, offering internal glimpses into each character, their vulnerabilities and hopes, but also pulls out, so that each character can be seen through the others’ points of view. 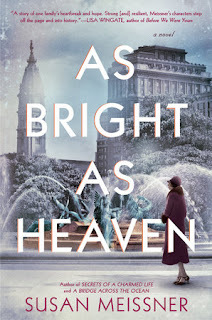 The novel has a cinematic feel, exploring each person’s desires and conflicts, and though a reader might not expect to find such deep longing, hope, bitterness and jealousy in a cast of nuns, a young widow and her daughter, McDermott paints a surprising and abundant landscape of their complicated lives. Her ability to delve intimately into her characters remind me of reading Chekhov’s stories. 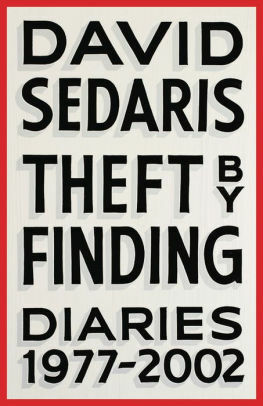 I recently read Theft by Finding: Diaries 1977-2002 by David Sedaris. The book felt like a “how to” for writers, and I enjoy books about the artistic process like Welty’s One Writer’s Beginnings, King’s On Writing, or Baxter’s Burning Down the House. I love learning how different writers approach their work. In Sedaris’s diaries, you read about his day-to-day life and observations, but you also see how his artistic life unfolds. Some good lessons can be gleaned about the craft—write something every day (or almost every day), look at the world with a poet’s eye, and let nothing be lost. 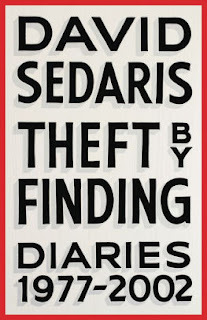 A fun assignment for a writing workshop would be to have the participants read Theft by Finding early on with the goal of keeping a diary like Sedaris for the duration. Last fall, I read Lincoln in the Bardo by George Saunders, and I so admire his complete originality. 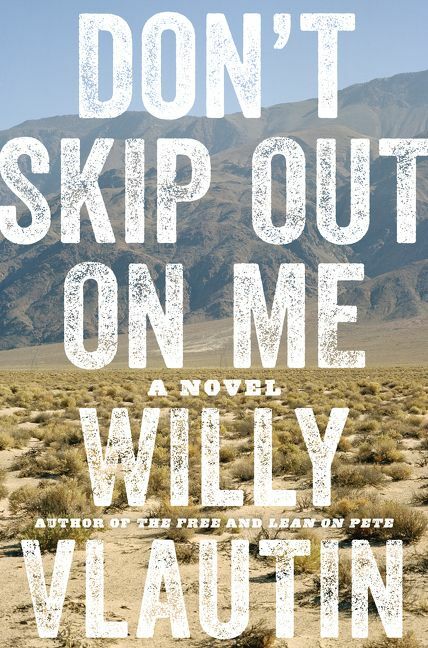 The stories within the novel are human and graceful, funny and heartbreaking. At once a play, a fictional narrative, and a historical collage of primary accounts, the story revolves around the death of Lincoln’s son Willie, and how each character experiences love and loss. The themes of human connection and love’s limits ground this transcendent story. 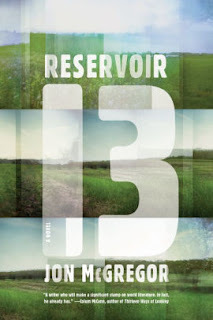 The voices, worldly and other-worldly, are fine-tuned inside and out, creating an operatic experience that dares us to imagine what is possible in fiction. I mostly read fiction because I’m greedy to study craft. But I do love a good journalistic non-fiction book, especially books that feel like novels. Katherine Boo’s Behind the Beautiful Forevers: Life, Death, and Hope in a Mumbai Undercity is one such book: a heart-wrenching, dire, yet hopeful story that is at both outrageously beautiful and devastating. 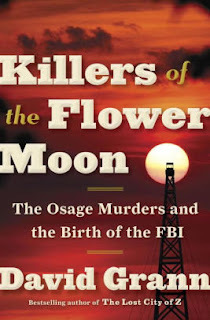 Right now I’m in the middle of David Grann’s Killers of the Flower Moon: The Osage Murders and the Birth of the FBI and what makes it so stunning are the beautifully selected and executed details that bolster the narrative. The Page 69 Test: As Good as True.